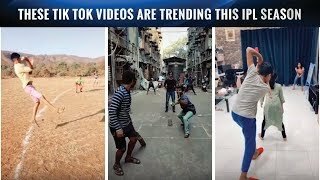 Watch Victory Ceremony of Double Trap Men - ISSF WCF 2017 Full HD Video..
Watch Victory Ceremony of Double Trap Men - ISSF WCF 2017 Full HD Video. 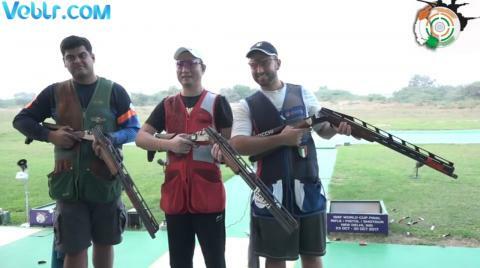 Watch Double Trap Men Final - ISSF WCF 2017 Full HD Video. 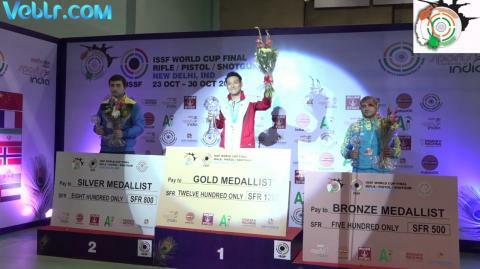 Watch Victory Ceremony of 10m Air Pistol Men - ISSF WCF 2017 Full HD Video. 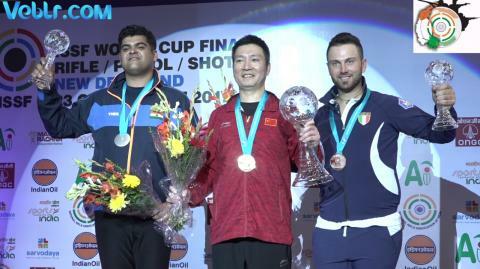 Watch Victory Ceremony of 50m Pistol Men - ISSF WCF 2017 Full HD Video. 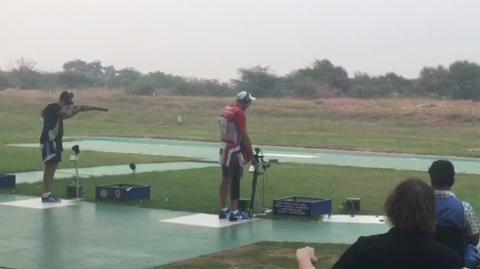 Watch Look Out for Sangram and ANKUR - Double Trap Final - ISSF WCF 2017 Video. 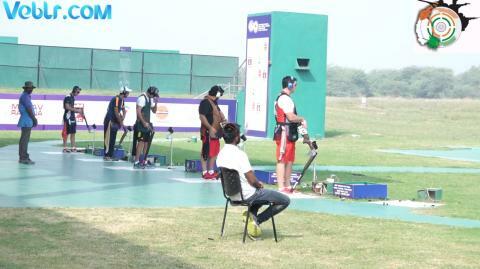 Watch Practice Session of Trap Men - ISSF WCF 2017 Full HD Video. 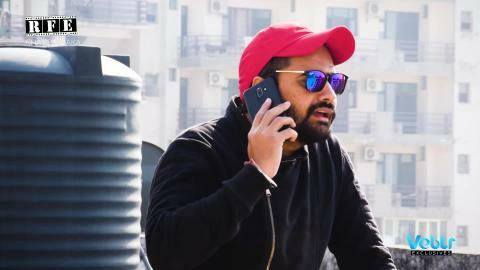 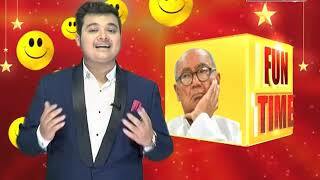 Watch Trap Men Final - ISSF WCF 2017 Full HD Video. 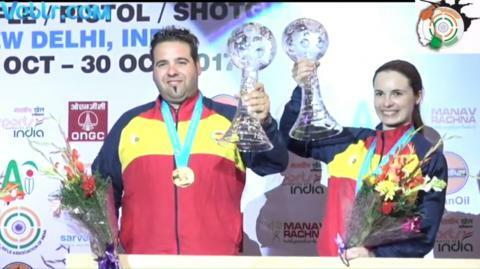 Spain's Trap shooters Antonio Bailon (33) and Beatriz Martinez (31) barely missed the title at last month's ISSF World Championship Shotgun in Moscow. 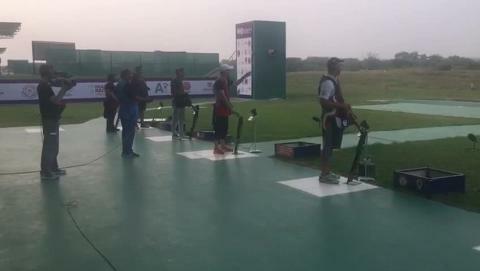 Now, a few weeks later, they finally climbed atop the Trap Mixed Team podium in New Delhi (IND), claiming the ISSF World Cup Final trophy by crushing 42 out of 50 targets. 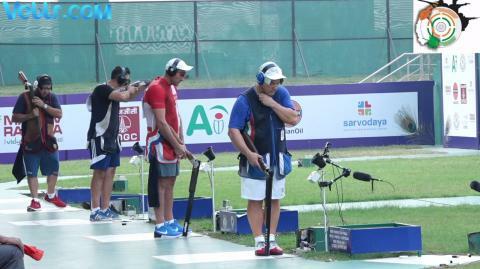 After missing three of their first 15 targets, the two Spaniards crushed 27 of the following 28, definitely taking the lead and defending their position against the comeback of Italy's Giovanni Pellielo (47) and Jessica Rossi (25), who then finished in 2nd position with 40 hits out of 50 and the Silver medal around their neck. 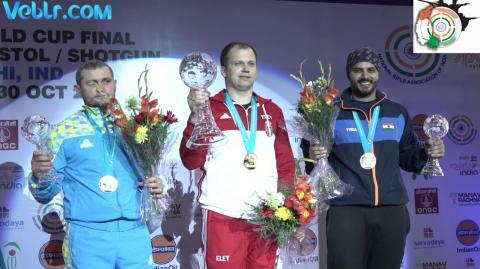 The Bronze medal was awarded to United States' Derek Haldeman (26) and Ashley Carroll (22), who doubled the result they nailed in Moscow, crushing 31 out of 40 targets and placing 3rd. 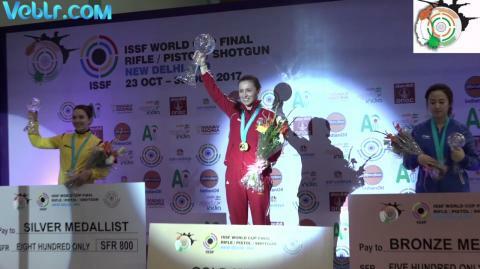 Watch Victory Ceremony of 10m Air Rifle Women ISSF WCF 2017 Full HD Video.